Whether you are in the same city as us or in a different continent, we can still set up a tutoring session. 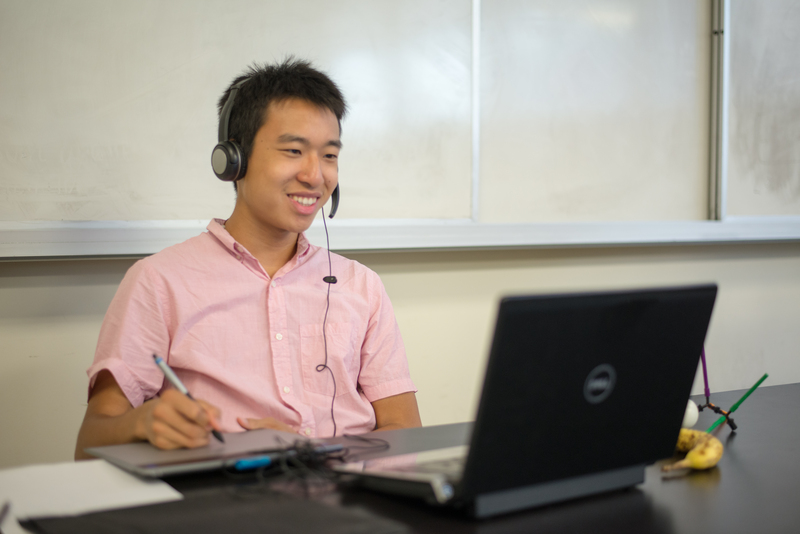 We offer both in-person tutoring if you are in Boston or New York City, and online Skype tutoring if you live far away. We have had many successful online Skype tutoring sessions with students in over 25 different Universities, in locations like London, Florida, Australia, Vancouver, and many other locations. So even if you are trying to get that A in Orgo and are not in Boston or NYC we can still help! And most importantly, we can provide resources for all income levels! I (Frank Wong) have 6+ years of tutoring and teaching experience as a YouTube Educator, Boston University Peer Tutor, and both a Physics and Human Physiology Teaching Assistant. My tutors’ Safiya, Rebecca, Brittany, and Neala are all former students of mine that I worked with and trained personally. During my years as a student and educator, I have picked up some of the best ways to teach students the sciences and I have taught most of what I know to my tutors and former students. My tutors were all carefully selected because they all share my passion of showing students how fun, simple, and fascinating Organic Chemistry can be! Students have come to us for tutoring because of many different reasons. Some have contacted us in the summer/ winter wanting to prepare for the next semester’s material and get a head-start. There are some who are A/A- students who are very quick and learn the material quickly but are looking to study even more efficiently and free up more studying time for other classes. 1 hour of tutoring with us can equate to 2-5 hours of studying on your own depending on the student and also how efficiently we can work together. Others students contact us at the start of the semester and we have regular weekly sessions (twice a week) where we go through their notes to help them understand the material at a deeper level and to correct any errors. We also go through many practice problem sets and practice exams to get them ready to tackle problems independently during exams. Students who have weekly sessions tend to get the most out of tutoring and perform very well. They end up scoring above average on exams and gain the confidence to participate in lecture and answer questions. Just let us know when contacting us and we can do our best to accommodate you. We are now offering Winter and Summer Prep Classes (via Skype) for both Orgo 1 and 2 in between December 26th-January 15th for Winter and June-August (timing can be flexible). The goal of both classes is to help provide student with an affordable way to prepare for the new semester and start off strong! We teach you guys how to think critically and ask the right questions when learning new material in both Orgo 1 and 2. The Winter Prep course will show you how to be a pro at mechanisms and learning new reactions. The Summer Prep course will help you to become very familiar with the hardest topics in Orgo 1. This way when you walk into either class in the Fall/Spring, you can feel confident and know exactly how to tackle the classes. The hard part about Orgo is that it’s an incredibly new and unfamiliar class. It really is almost like a foreign language to students. But with this prep class you’ll know what’s coming and be ready!